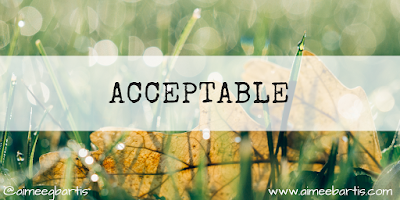 How many times a day do you say or think "that's not acceptable"? I feel like I say and think it a million times a day. I do, after all, work in a middle school. 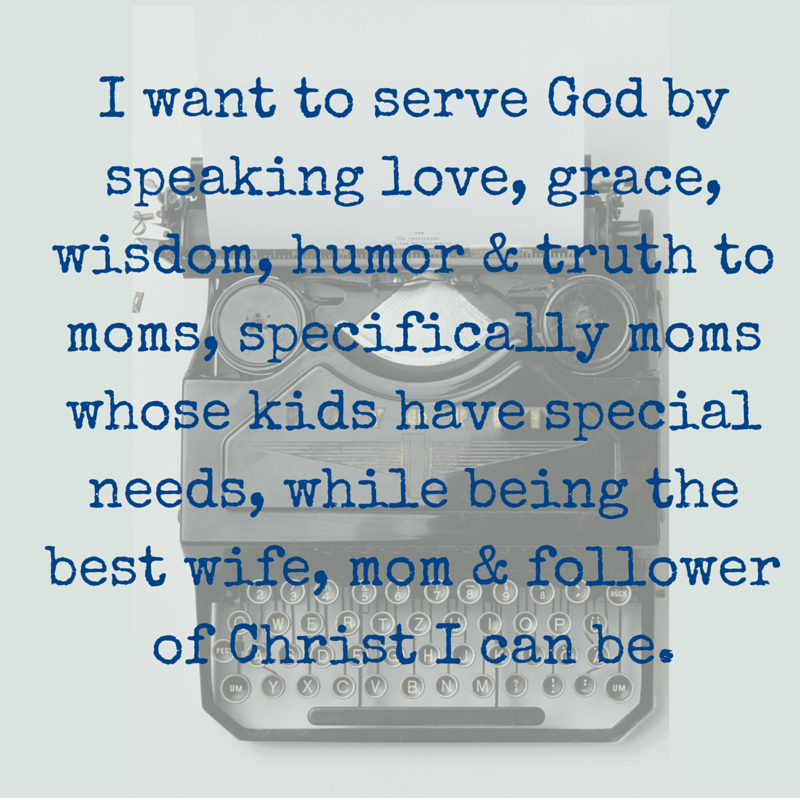 And I have 3 boys. And I work with special needs kids who need help to understand boundaries. I also check facebook and twitter each day. There's a lot of thinking "that is not acceptable" when I scroll through those feeds. It appears that I have a different idea of what acceptable than those around me. With the kids, I'm ok with it because they are learning. With grownups, it's a little more frustrating because I think they should know better. I try to remember that everyone is (or should be) learning and growing everyday. If I'm being really real, I have to admit that I do unacceptable things all the time. I buy things I shouldn't. I get my nails done when I could probably spend that money more effectively. Just today I ate a Kit Kat for lunch. I'm a grown woman, that is not an acceptable healthy lunch. Of course, that's just the tip of the iceberg. I'll spare you the rest. I'm studying Genesis right now and the story of Cain and Abel. The problem between the brothers started because Cain's offering was not acceptable to God. Our offerings to God should be our 'first fruits', the first part of what we have and not the left overs. The Bible doesn't explicitly say that Cain didn't bring his first fruits but it does say "fruit of the ground". I always assumed that meant that the fruit had fallen off the tree, Cain picked it up off the ground and brought it to God. Then in Hebrews 11, verse 4, the Bible says that by faith Abel offered God a more acceptable sacrifice than Cain's. So, faith plays a part of what is an acceptable sacrifice to God. The complete trust that something is acceptable to God makes it acceptable to Him. I love the Old Testament and it makes me so thankful. All through the Old Testament we see people trying to uphold the law and be acceptable to God. It seems so exhausting. Sometimes I get tired just reading it. I am so thankful for Jesus. Through His life and death, my faith in Him makes me acceptable to God. No matter what I've done. No matter what I do. My faith makes me acceptable to God. Even if I eat a Kit Kat for lunch. Even if I loudly burp in public.